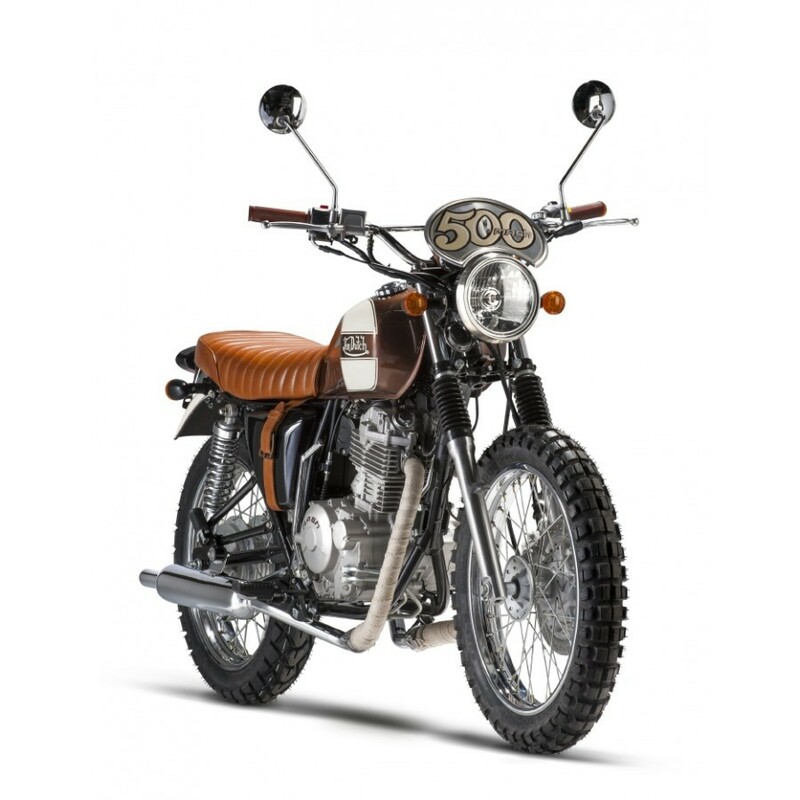 Scrambler style appears to be still a mainstay of the motorcycle manufacturers. After Triumph and Ducati, and now Mash Motors, the French automotive manufacturer also apply this style to their new product named 'Mash Von Dutch'. As quoted from Autoevolution on Monday, August 3, 2015, Mash Von Dutch motorcycles built taken base of Mash Five Hundred retro bike. This classic style motor will be produced at SIMA Workshop, in limited quantities, ie 200 units to customers worldwide. 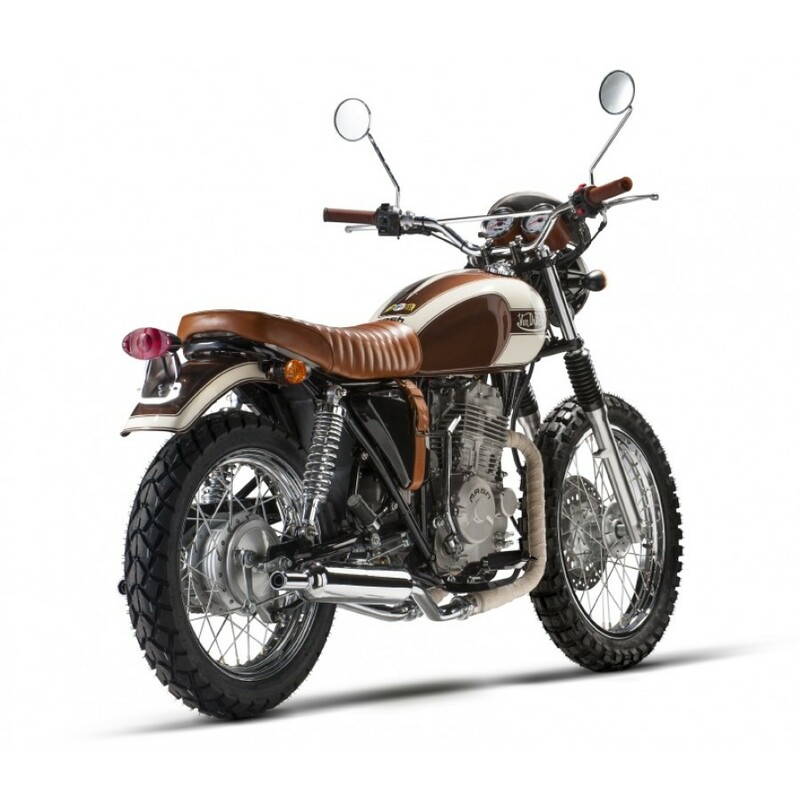 Its classic design evident with the use of the brown color combined with white in the gas tank, front and rear fender. For the passenger comfort, the Mash Von Dutch seat use genuine leather with the brown parallel stitching. The scrambler style at Mash Von Dutch increasingly viscous with the use of bespoke rim models wrapped with large size tires and the exhaust of typically classic motorcycle. In addition, headlights, mirrors, turn signals and rear light are round. Mash Von Dutch power source coming from the engine capacity of 397 cc is capable of producing 27 hp at 7,000 rpm and the engine rotation reaches its maximum torque of 30 Nm at 5,500 rpm.